Decks are a great place to socialize, relax, and enjoy being outdoors. But even the best deck won't last forever. The average lifespan of a deck is 10 to 15 years, although a deck that is well-built and properly maintained can last 25 years or more. Outdoor Environments recommends a deck inspection for any deck more than 10 years old, regardless of how it looks or who built it. It is estimated that only 40 percent of existing decks are completely safe. The two biggest deck safety issues commonly seen are the ledger board that connects the deck structure to the house band detaches, resulting in a deck collapse, and compromised guard rails and stairs. 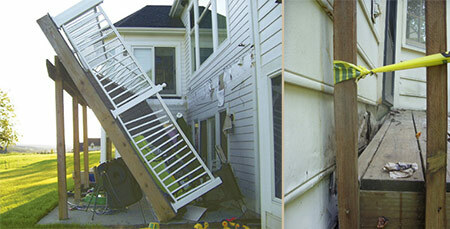 A deck collapse happens with no warning and can cause injuries as well as property damage. 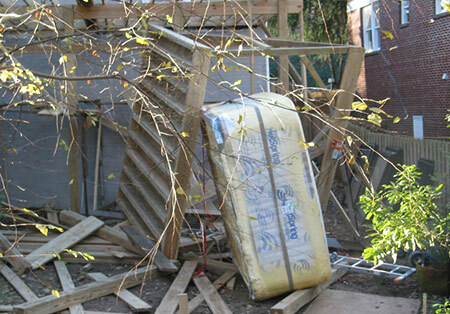 Seventy-five percent of people who are on a deck when it collapses are injured or killed. Decks fail for a variety of reasons, including old age, poor deck maintenance, improper building methods, and exceeding the maximum weight capacity. Heavy snow can also weaken a deck. A deck inspection from Outdoor Environments can catch problems before they evolve into bigger problems that will result in the need to completely replace your deck. Identifying and fixing these issues with a deck inspection is much less costly than a total deck replacement. Even more importantly, it ensures the safety of your deck and ensures the safety of anyone who uses your deck. Outdoor Environments offers deck inspections throughout the greater Kansas City area.